Looking to visit Kings Island for a single day or two day visit? These are the tickets for you! 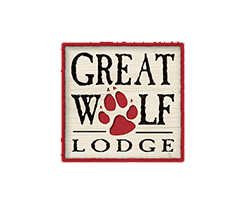 Best Value - Get a 2nd Day For As Low As $18 More! Enjoy two visits of your choice any day the park is open to the public during the 2019 season through October 27, 2019 for one low price! Days do not need to be consecutive. Purchase an After 4PM admission ticket and enjoy all the rides and attractions Kings Island has to offer. 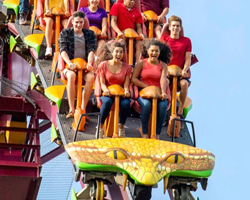 Gold and Platinum Passholders can share the fun and thrills by purchasing up to four Bring-A-Friend tickets each as low as $15.99. Price available online only. Must be accompanied by a 2019 Gold or Platinum Passholder. Get admission to Kings Island plus other thrilling experiences and save big off the Front Gate price! Buy an admission and Fast Lane Plus Combo ticket online only and save up to $41 off the price at the park. 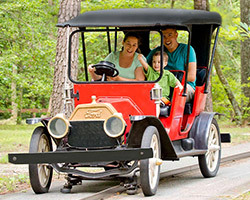 With Fast Lane Plus, speed past the lines on your favorite attractions and roller coasters including the all-new Kings Mills Antique Autos, Mystic Timbers, The Beast, and more! Valid on date chosen at purchase. Not available for purchase online the day of your visit. Must be purchased at least one day prior to your visit. Save Up to $98 Online! Bundle your fun and save big with the All Inclusive Ticket to Kings Island. The All Inclusive Ticket includes one Single Day Admission, Parking, All Day Dining, Fast Lane Plus, a Regular Souvenir Bottle and a Single Day FunPix Photo Pass. All included products valid on date chosen at purchase. The All Inclusive Ticket is available online only. Not available for purchase online the day of your visit. Must be purchased at least one day prior to your visit. Buy Online & Save Up To $98! Two Great Parks! One Low Price. Get one day at Kings Island and one day at Cedar Point any day the parks are open to the public in 2019 through October 27. Not valid for WinterFest. Does not include admission to Cedar Point Shores Water Park. 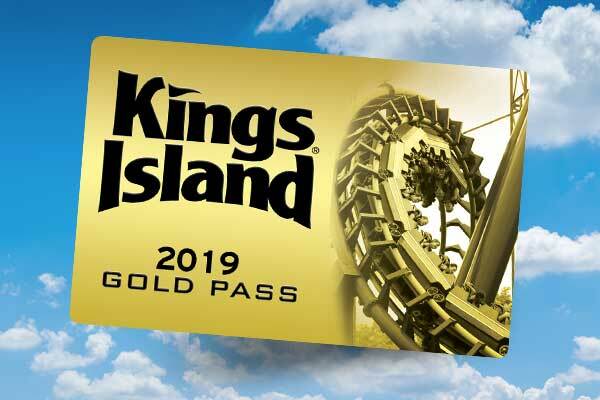 Buy 2019 parking online in advance and save $3 off the price at the Kings Island tolls. Valid for parking at Kings Island any one day the park is open to the public during the 2019 season.